According to a new rumor supposedly coming out of "sources from the related upstream supply chain", a new Microsoft Surface Book is already in mass production. The company will apparently unveil this new product either at the end of this month or in April. The Surface Book 2 will be cheaper than its predecessor, starting at $1,000. 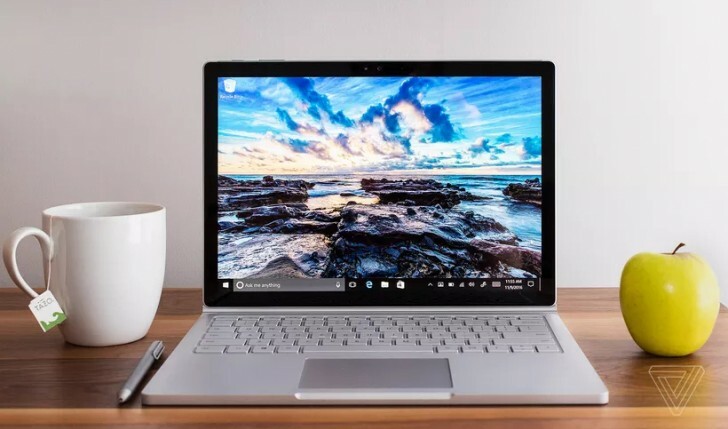 However, that price point will be achieved by ditching what has been one of the original Surface Book's main selling points, namely its 2-in-1 detachable design. The Surface Book that's now on sale can be a tablet or a laptop, depending on what you want to use it for. The new model will allegedly be a traditional laptop, so you won't be able to 'detach' any part of it from the rest. That's a pity if true, but the decision to go this route was made because Microsoft doesn't want the Book line to conflict with the Surface Pro series. On the other hand, the same report says that Microsoft has only sold around 500,000 Surface Books in 2016, so the argument clearly wasn't that this device was eating into sales of the Surface Pros. Then again, the high price for the original Surface Book has resulted in limited demand, so we assume Microsoft is hoping to sell more Surface Book 2 units. In fact, estimates from the aforementioned sources range from 1.2 to 1.5 million units moved this year. The Surface Pro should reach 6 million sold in 2017. The new laptop will still have a 13.5-inch display and a magnesium-aluminum alloy body. Well, this surface doesnt go to Asian Market like Indonesia. While i can easily get Macbook Pro for same price and world wide warranty.